Can you imagine life today without the internet? Pretty difficult, isn’t it? With most information and tasks done online nowadays, living without the worldwide web seems like an impossibility. From reading the news to booking flights and hotels for your next holiday, to even doing grocery shopping and car hunting, all you need is your phone or computer and an internet connection to do all of these. In fact, even homebuyers now do their property shopping online. With this becoming a trend, real estate agencies need to stay on top of their game by maximising all their available resources to reach out to their target market. Almost everyone’s shifting to online marketing and you lose sales if you get left behind. With almost everything imaginable done online nowadays, do we even still remember the time when home sales are made through offline marketing tools like newspaper ads and For Sale signs? Everything’s now within easy reach. Progression and change all happen in a snap and the only way to survive in this competitive world is by adapting. This is one of the reasons why most property marketing are now based on online platforms where builders and proprietors can showcase their portfolio and the properties up for listing. Competition is now fiercer than ever and marketing properties have to be more aggressive than before. As a real estate agent, you need to come up with effective marketing strategies to get your sales up and going. Don’t think that offline marketing is completely off the table because it’s still an integral part in property marketing. Combine this with online marketing strategies and you’ll have the perfect formula to win a sale. The internet constantly evolves and it’s vastly changed over the years that sloppy images, broken links, and comic sans fonts are now a thing of the past. It adapted to today’s modern world to fit small screens on our phones and tablet, and to meet all our needs and make our lives easier. While most marketing is now done online, technophobes shouldn’t be forgotten. Just because they can’t access the internet doesn’t mean they should be deprived of a potential sale. Mirroring marketing for both online and offline use is redundant and expensive though, so what you can do is integrate both and use them to your sale advantage. QR codes are basically everywhere. Business and the information sector have discovered how perfect of a tool this is to bring online content to clients. If you have billboards and posters around or you have property brochures distributed, you can include QR codes on them (make sure they’re noticeable), so that property hunters can easily access your online information. Property brochures are traditionally distributed in printed form. It’s a nightmare today and environmentalists will argue that you’re only wasting paper that will most probably just end up in the bin. In today’s digital world, just take advantage of the fact that almost everyone’s online and offer brochures in a downloadable format. Not only will you help save the trees, but doing so will also maximise your market reach. Every age group is now on Facebook. Some age demographics on the other hand, are active on other social media platforms like twitter and Instagram. As long as you know who to reach out for and where to find them, social media is actually a great tool to create business leads and build and maintain relationships with clients. Almost everything’s gone digital but believe it or not, there are still some people who read the newspaper every morning. Yes, we spend most of our time browsing social media and clicking likes, but we still can’t help but admire Estate Agents’ displays when we do our shopping. When it comes to making sales, it’s really all about reaching your target audience the best way possible. Different age demographics will be found on different social media platforms. Older buyers and retirees may seem technologically challenged, but these people are most likely to be on Facebook clicking likes and sharing pictures and videos to their friends and families. Younger generation on the other hand, will most probably be in Instagram and Twitter. What we’re saying is instead of tailoring your marketing strategies to focus on one or two platforms, cast a wider net so you can make more sales. If you’re proactive enough, you can send short surveys to ask your clients how they’d like to hear news from you so you can adjust accordingly. For example, while older clienteles and passive home buyers prefer direct mail, you will find the younger generation and active buyers opting for immediate information for properties that are up for sale. Keep in mind that not all properties appeal to everyone’s taste. It’s not a one size fits all product that you can just put out in the market and hope to sell in a short period of time. For example, suburban homes have a more homey feel and you’re looking into families and retirees as your potential buyers. So how will you market them? By combining offline and online tools, and using real eastate portals and your social media page to post property information. Young professionals and millennials on the other hand, are more likely to look after apartments in the inner city. And you know for sure they’re online most of the time, so focus more on online marketing campaigns for this kind of property. So grab your camera and take great photos of your property, or hire a 3D image rendering specialist for stunning photos and realistic images to post. Investment properties are attractive to foreign investors, retirees, and even current homeowners just looking at buying a second house. There’s a higher chance of selling these properties when you combine online and offline marketing methods: online campaigns will help you reach potential clients who are overseas, while print campaigns are perfect for buyers who are just within the area. Everyone has their own strengths and weaknesses and if you want to maximise your presence, both online and offline, you will need to know where your staffs’ strengths lie so you can utilise their skill sets to your business’ advantage. Junior staff are more likely to be internet savvy and social media active, so you can leave all online marketing tools to them. Senior agents, with their wide knowledge and experience of the market, are more than competent to handle all your offline marketing campaigns. By combining the talents that you have, together with your business acumen, you can create a more effective and harmonious workplace, improve your individual staff’s profiles and knowledge, and increase your sales. Technology has done wonders to our lives. Gone are the days when we have to take out large and bulky paper maps when navigating. Internet and smartphones, together with map apps, allow people to get directions to places easily. They can even take note of what the place looks like and the landmarks along the way so they won’t get lost. This is really handy and most real estate agents have used this to their advantage by providing virtual viewings for their clients so they can have a better idea of what the property and its surroundings are like, helping avoid unrealistic any expectations. 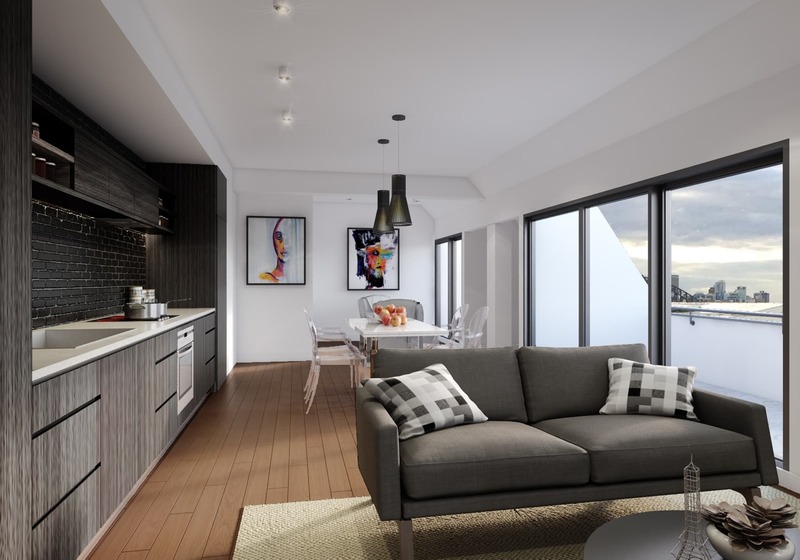 If you’re marketing an off the plan property, 3D image rendering and virtual viewings will help buyers envisage what the house will look like after it’s finished. And if they want to proceed with the purchase, changes can be easily done digitally even before construction’s started. Technology has indeed changed our lives, but let’s face the fact that old ways are still here to stay. Instead of completely shying yourself away from traditional marketing campaigns and relying solely on today’s technology to grow your business, you can grow your sales by combining traditional campaign with online tools.